​Check our price chart below. Multiple hours, days and more are available, just call or stop by our location. And Scooter Joe's can deliver bikes or kayaks to your vacation home or venue if needed.​​ For GOLF CARTS, visit our dedicated page here. 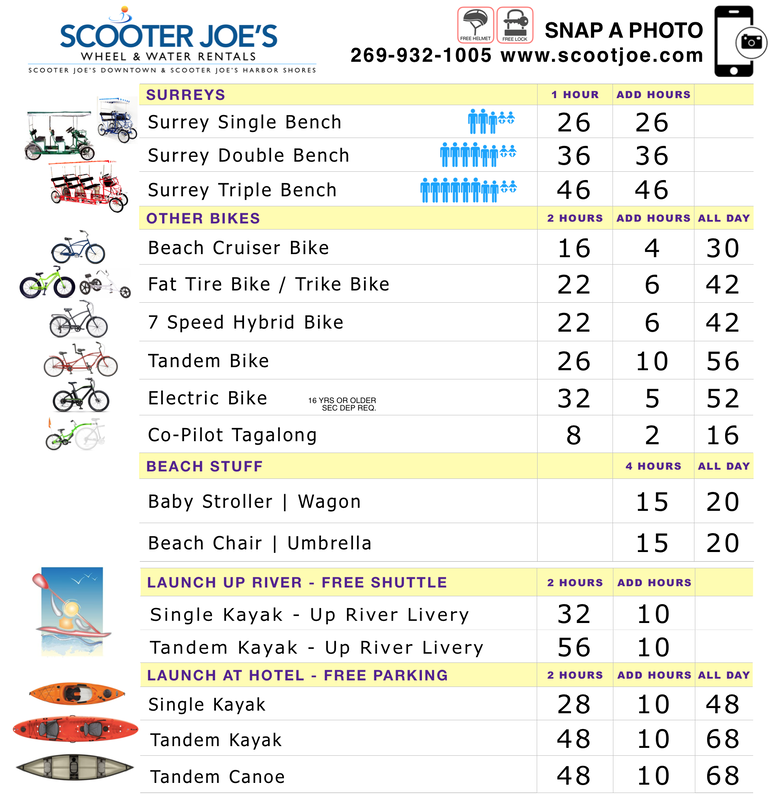 Prices for our bikes & kayaks. Prices for our road certified Golf Cart LSVs (Low Speed Vehicle). * Up river launch requires a minimum of 4 paddlers at prices states.